In 1875, Kathleen Ferguson was born Robert Ferguson, a judge of the Cork County Court. By 1900, she had gained first degree honours in the Dublin School of Cookery. She taught cookery to a class of nearly 200 students in the Presentation Convent, Bagenalstown, Carlow where she was described in the Nationalist and Leinster Times as having ‘high qualifications and unremitting energy’. In 1908, Kathleen sued her second cousin Dr Malcolm Ferguson, for alleged breach of a promise of marriage. Malcom had moved to Preston. She was looking for £3,000 in damages but received £500. On the day of the court case, the gallery was filled with ladies who had hoped to hear some gossip. They were sadly disappointed as the case was settle between the lawyers before speaking with the judge. 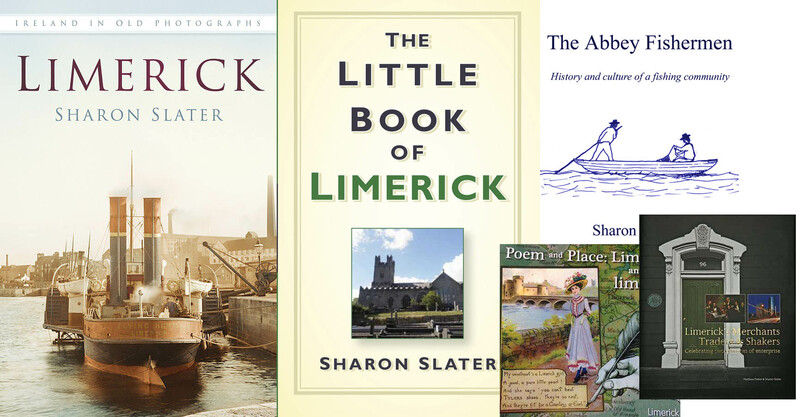 In 1901, she was living in a boarding house in Catherine Place, Limerick and was described in the census of that year as a ‘Lady Cookery Organizer’. She published at least seven advice books for children between 1900 and 1908 with titles such as ‘Hints on good manners for the use of children’, ‘Sick room cookery with notes on sick nursing’, Elementary lessons in laundry work’ and ‘Catechism of domestic sciences. For the use of children’. 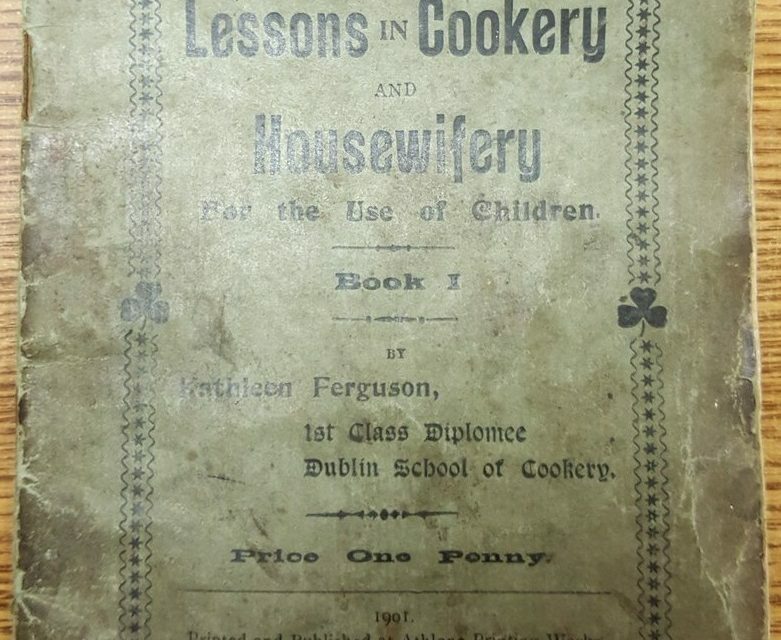 Her book ‘Lessons on Cookery and Housewifery’ contained advertisements from local Limerick businesses Matterson’s and Shaw’s bacon factories and Geary’s biscuit factory. It included recipes such as how to boil a pigs head, how to stuff sheep’s heart and how to make a soda plum cake. She also gave tips on how to make a bed, how to wash glassware and how to polish boots.